When plans for the curiously named Projekt Grenadier first came out it's fair to say that they seemed more eccentric than grounded in reality. 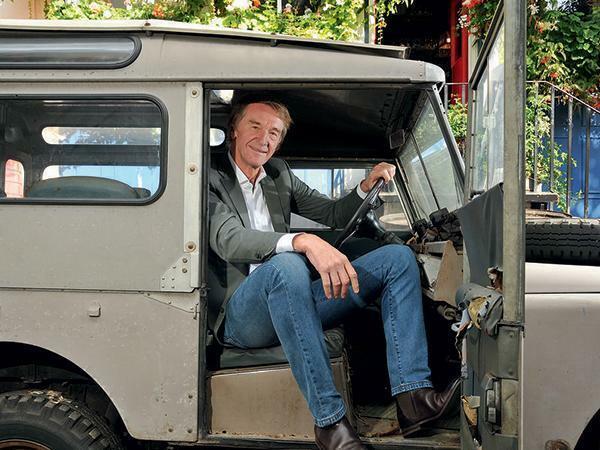 In a nutshell, billionaire Jim Ratcliffe, founder of the vast INEOS chemical empire, was so upset by the axing of the Land Rover Defender that he decided to build his own replacement. Originally this was pitched as being a near-clone - something which displeased Land Rover with its own new Defender in the works - the plan then shifting to the idea of creating a new rugged off-roader in its own right. But now things are getting increasingly serious. Last year we were told that MBTech, an engineering consultancy spun from Mercedes Benz in 1995, was working on productionizing a vehicle. 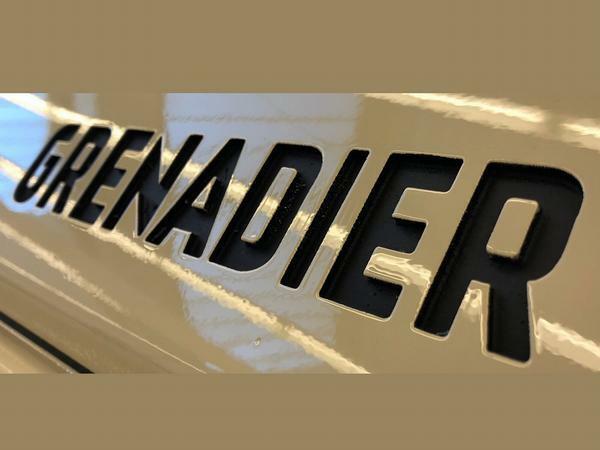 Now the Projekt Grenadier have announced that the finished product will use BMW engines, and has also released a single teaser image of what appears to be a GRENADIER embossed bonnet pressing. PH also got to chat with Grenadier's commercial director Mark Tennant, who added some extra details to the modest tally that have been officially released. The most significant of which being that INEOS has dedicated no less than £600m to the creation of this new model - pretty much exactly what a big carmaker would spend on a fresh offering. So properly serious, then. Beyond confirming the fact it plans to use both petrol and diesel BMW engines, Grenadier hasn't given any more details, although the Tennant's assertion that the finished vehicle should be seen as a proper utility makes it likely we're talking about four-cylinder power rather than full-fat V8s. The finished Grenadier will be sold around the world, Tennant confirming it will definitely be homologated for both Europe and the U.S.
On this side of the Atlantic the ambition is to provide an alternative to the separate chassis pickups that have taken over from old-school off-roaders and with similar pricing; in the U.S. Tennant admits that the buying profile is likely to be more affluent and "lifestyle". But in other parts of the world the plan is that a bare bones version will offer rugged transport suited to low infrastructure environments; a decent percentage of production might end up in UN white. While the classic Land Rover remains on the list of influences, we've also been told to think in terms of the Jeep Wrangler, early Land Cruiser and Mercedes G-Wagen. There's no confirmation on there being more than one version, but punchy volumes predictions - Tennant says the plan is to make up to 25,000 a year - suggest there will be a variety of body styles and probably also wheelbases. For context, the Defender sold substantially less than that for the last decade of its existence, albeit without any American sales. The single teaser shot isn't giving much away, beyond the fact that Grenadier looks to have a raised bonnet - which could also mean Defender style flat front wings - and also that the paint finish of what is certain to be an early prototype seems a little, let's say, rugged. Given the drip feed of news there will be plenty more details to come before we eventually see the finished vehicle. the company owns oil refineries? So must build a V8 surely! I am hugely interested to see how this pans out, not another Zenos I hope. Really hope this pans out beautifully! Making a bare bones version available globally will give them huge market. I'd make it a separate model to the luxo/lifestyle version. A project that's not going to run out of cash for once. Surely a complicated and expensive (multi-turbo?) BMW setup is going to be impractical in the "low infrastructure" environments they would like to market to? Exactly, how widespread are BMW parts, diagnostic equipment and expertise amongst the towns in the Outback, or across Africa, or indeed the Scottish Highlands? To me it smacks of what they could get rather than what they might have wanted. Far more obvious choices are Ford, Mercedes, Fiat, Toyota, etc. but they have vehicles (off road and/or commercial vehicles) that this would compete with, so they wouldn't be keen to supply. BMW doesn't so nothing to lose there plus this is amongst the most credible vehicle start ups so they'll be able to pay their bills.